Over the past few months I have been using Google Hangouts more regularly and have been advised to use good quality headphones to help with the quality of sound and to reduce echo. 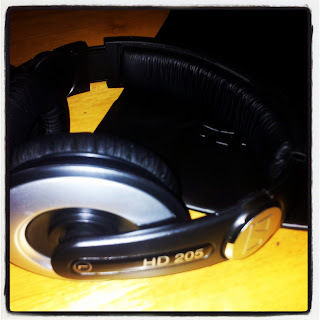 The Sennheiser HD 205-II Headphones seemed like the perfect choice to try out. These headphones can be found in the music section of the Maplin website. Using the Sennheiser HD 250-II Headphones in a Google Hangout definitely did create a better experience for me because I could have the volume of the other participant(s) quite low which means there is less distortion of sound. The cushioned ear-cups made for very comfortable wear too. I discovered that the right ear-cup rotates forward and backward which creates a one-ear listening experience. I am going to see if I can take them into the studio when recording my radio show so that I don't have to wear my headphones at an awkward angle when guests are in for interviews and studio chat. Listening to music through the headphones was enjoyable. The sound was crisp and clear. I've also done a bit of research into the battle between closed ear-cups and in-ear bud. Put simply, the closed ear-cup reduces external sound so you can hear more detail in the audio you are listening to. With in-ear buds you are more likely to crank up the sound to experience the same effect which can be damaging to the . 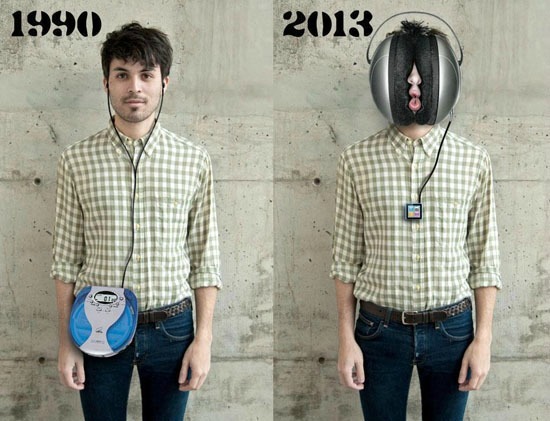 However this research does allow me to share this image that I found... a comparison of headphone size over the past 20 years or so. I'm loving these headphones. The Sennheiser brand is respected and recommended by many people in the music industry and this price means that they are easily affordable. I would like both ear-cups to rotate so that you have a choice but this is a small adjustment that could be made in the manufacturing process. Also the packaging was incredibly difficult to unwrap (hard, sealed plastic) and I had to attack it with a pair of scissors however my husband noted that they headphones were secure and protected and would not have damaged in transit. I received the headphones for the purpose of this review. Please view my disclosure policy for more details.